Office Hours:M-F, 7 a.m. to 5 p.m. 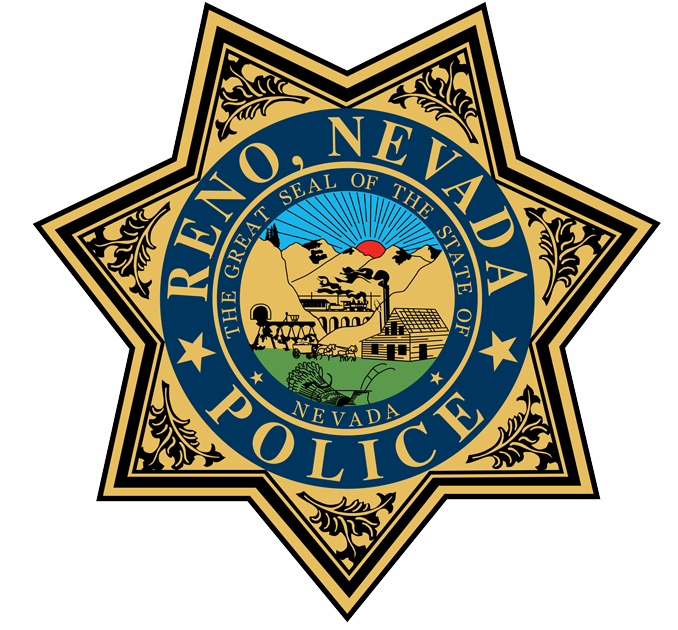 The Internal Affairs Bureau will preserve the public’s trust and confidence in the Reno Police Department by conducting thorough and impartial investigations of alleged employee misconduct, by providing proactive measures to prevent such misconduct, and by always maintaining the highest standards of fairness and respect towards citizens and employees. Do You Have a Concern, Complaint, or Compliment? The City of Reno, and your Police Department, prides itself on being responsive to the needs and concerns of all citizens and guests of our community. Compliments, complaints or criticism of our services are accepted as meaningful indications of the job we are doing, and provide us with information to better serve you. While we strive to provide service of the highest quality, we realize that with our high volume of public contact, coupled with the nature of our task, that not everyone may be completely satisfied. Additionally, not all people will clearly understand the reasons for the actions taken by police employees. As a citizen you are encouraged to contact the Police Department if you have a complaint or concern about the actions of a police officer, if you believe the officer violated the law or his conduct was inappropriate. To receive citizen complaints the Police Department maintains an Internal Affairs Office in a location away from the Police Station. The non-uniformed staff can answer questions about the actions of officers, initiate a complaint against an officer, and conduct a complete, fair and impartial investigation of a citizen complaint. Although we encourage citizens to report police misconduct, complaints must be truthful, accurate and made in good faith. If it is determined that the police employee acted improperly, he or she will be subject to discipline by the Department. If the officer's actions were criminal, the matter will be referred to the District Attorney's Office. A: You may have had contact with a Police Department employee during which you felt their demeanor or actions, in your opinion, were questionable, but do not necessitate a formal complaint. You still feel the need, however, to discuss the employee's behavior with us, without the need for additional involvement. Q: What is a Procedural Question? A: A complaint is an allegation of circumstances amounting to a specific act, or omission, which if proven true would amount to misconduct. It is an expression of dissatisfaction with a policy, procedure, practice, service level or legal standard. Q: Who May Make a Complaint? A: Any person who witnessed an incident, who feels that the Police Department has treated him or her in an adverse manner, or has direct or well-founded knowledge of inappropriate actions by any Department employee, may make a complaint. Q: How Do You Register a Complaint, Concern, or Compliment? A: A complaint, compliment or concern may be made verbally or in writing at any time of the day or night to any police supervisory personnel. Usually, an explanation of the situation in person, by telephone, or via email is all that is needed to initiate a review or investigation of the matter. During business hours, if you visit the Police station, you will be referred to an on-duty Watch Commander or a Patrol Supervisor. If you wish to call, you can use the Dispatch non-emergency number, 775-334-2121, 24 hours a day, and ask for the on-duty Patrol Supervisor or Watch Commander. You may also utilize the appropriate form above and send in as specified. Q: What Happens When You Make a Complaint? A: Every citizen complaint is reviewed by the Chief of Police and police command staff. If the complaint involves conduct that, if substantiated, violates police procedures or laws, an investigation will occur. Internal Affairs investigators will interview the concerned parties and witnesses, record their statements, and gather other relevant data. The completed investigation will be forwarded to the deputy police chief in charge of the officer or employee involved. The deputy police chief will review the investigation, recommend discipline/corrective action on sustained complaints, and forward the completed investigation to the Chief of Police. Q: What Are the Possible Outcomes of Investigations? Sustained - When the investigation discloses that the act(s) alleged by the complainant did occur. Not Sustained - When the investigation discloses that there is insufficient evidence to either prove or disprove the allegations made. Unfounded - When the investigation indicates that the act(s) alleged by the complainant did not occur. Closed-No Finding - The complaining party and/or witnesses fail to cooperate after the investigation is commenced, the complainant withdraws the complaint, the complainant is no longer available for clarification, or the Chief of Police has determined that the act(s) does not fall within the administrative jurisdiction of the Department. Q: What Happens to an Officer When a Complaint is Sustained? A: When a complaint against an officer is sustained, discipline will be recommended. Discipline can occur in the following forms depending upon the prior history of the officer and the seriousness of the complaint: (a) a formal letter of reprimand, (b) suspension from duty without pay, or (c) termination of employment. A disposition letter will be sent to citizen complainants who provide contact information.